Given their respective careers and pedigree, I could not help but be intrigued when I was first introduced to the lyricist with a social conscience and political activist Michael Render aka Killer Mike, who first gained major exposure via his collaborations with OutKast, and producer and MC El-P joining forces as Run the Jewels and appearing with their debut album in 2013, which was available as a free digital download. From the get go there was something to it that encompassed state-of-the-art hip with deep respect for its roots, flavoured with a idiosyncratic take on political and personal issues, carefully crafted yet effortless orchestration with more than the occasional nod to EDM, break beats and dub step and sprinkled with a dose of braggadocio and cartoonish goofiness. 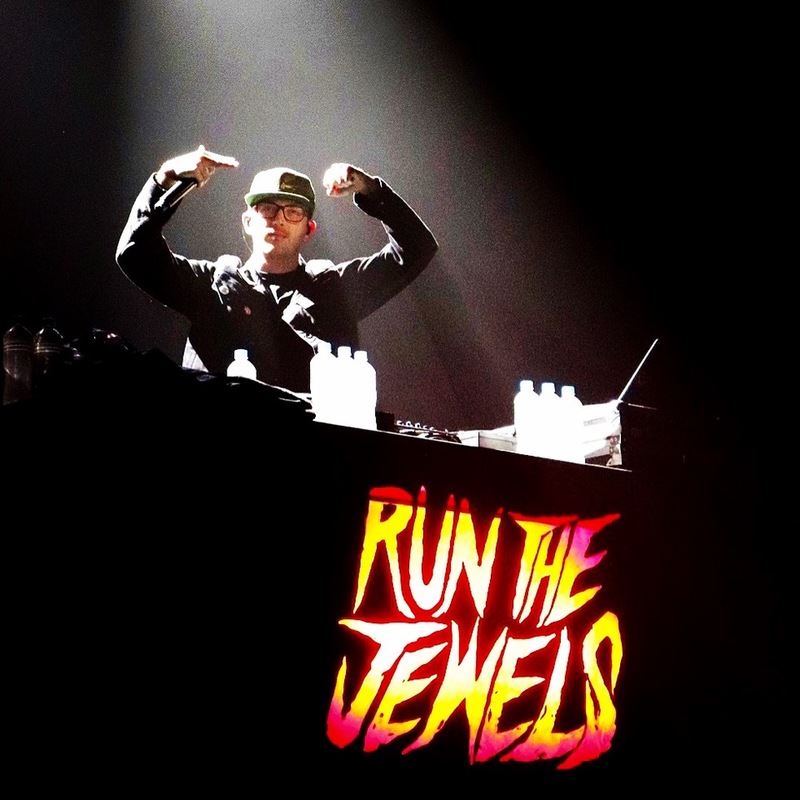 The recent emission Run the Jewels 3, a raging and dense culmination of the evolution of RTJ’s sound, has become a welcome companion on long distance runs in 2017 and set high expectations when it was announced that they would incarnate in the flesh in Australia. With a lot of potent hip hop artists lacking in the live department and not matching the intensity of their recorded works, concerns were not completely unfounded. Run the Jewels did not disappoint: Backed by an active DJ, the duo delivered a lively and tight performance, spontaneous authentic crowd interaction and a well accentuated setlist running the gamut from political songs with a concrete message via party numbers laced with psychedelica to imaginative, classic battle rap inspired intensity over inspired and innovative layered samples. In essence, the El-P / Killer Mike dynamic is reminiscent of a working marriage between old school gangsta rap and the open form fun edge the Beastie Boys became known for, with each constituent masterfully giving nods to their roots while infusing it all with their own ingredients, making it an enjoyable and unique experience. While the sold out show was powerful and the audience was at all times actively and physically engaged, it was never violent, which is not to a small extent due to RTJ reminding attendants of gig etiquette, i.e. looking out for one another and a reminder to keep hands to oneself. Summa summarum, a powerful and uplifting performance that does not necessitate to be deeply involved in hip hop to enjoy and appreciate.